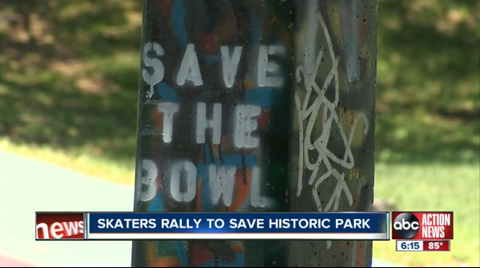 Skaters rally to preserve downtown Tampa's "Bro Bowl"
Story by Carson Chambers for ABC Action News, featuring Shannon Bruffett and filmmaker/photographer Lance Robson. 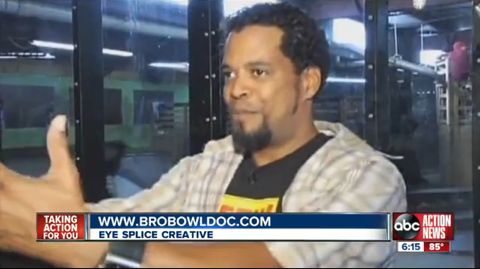 Robson was behind the documentary, The Bro Bowl: 30 Years of Tampa Concrete (2008). 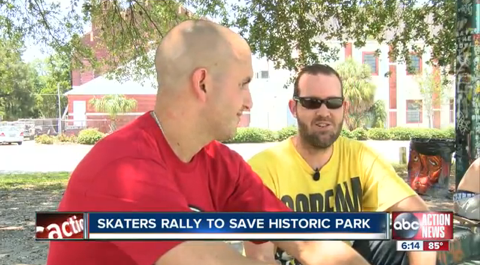 Clips from the documentary include some Tampa historic figures and present day skate and industry legends. Paul Schmitt, Chuck Hults, and Chuck Dinkins can be seen. 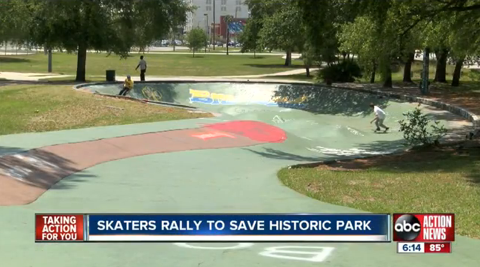 To view the video, click here or click on any of the images below. Follow us on Facebook, Google Plus, or Twitter!